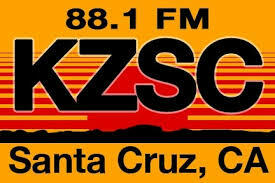 Jeff Gallagher, Barry Phillips and Solmaaz Adeli of The Santa Cruz Chamber Players came into the KZSC radio studio on February 10th to talk about their upcoming event: Concert Four – Dolcissime: O Sweetest Sound. The show features music by Music by W.A. Mozart, Gunnar de Frumerie, Lou Harrison, Erich Korngold, and Barry Phillips and happens Saturday, February 13, 7:30 pm & Sunday, February 14, 3 pm at the Christ Lutheran Church, Aptos, CA.